Art-droid – Soft for Android 2018 – Free download. 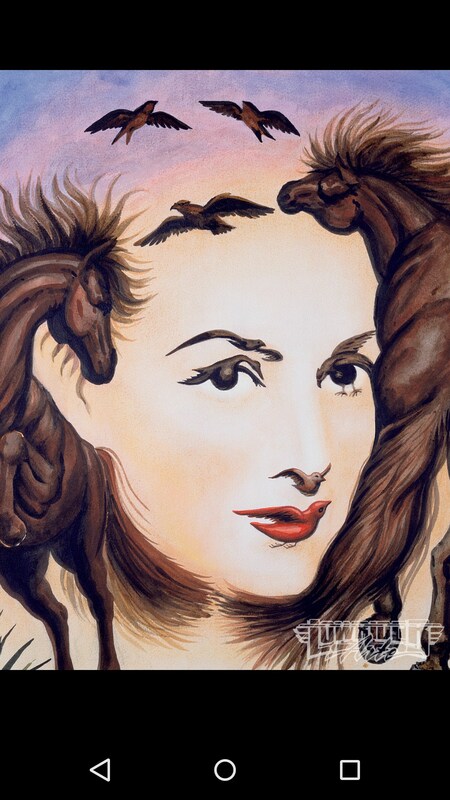 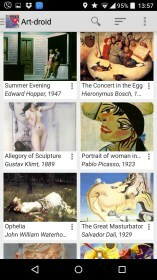 Art-droid – Collection of famous paintings. 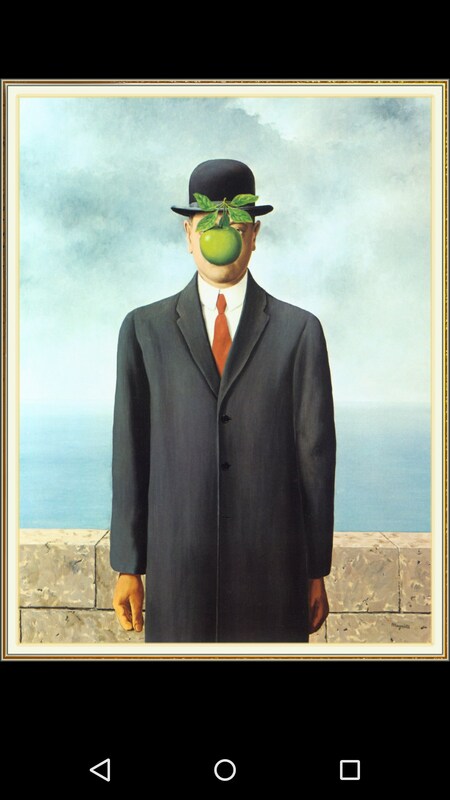 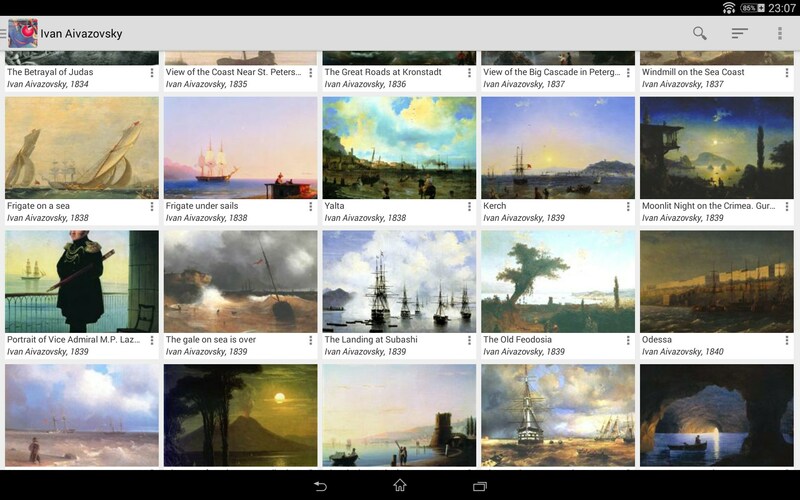 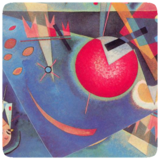 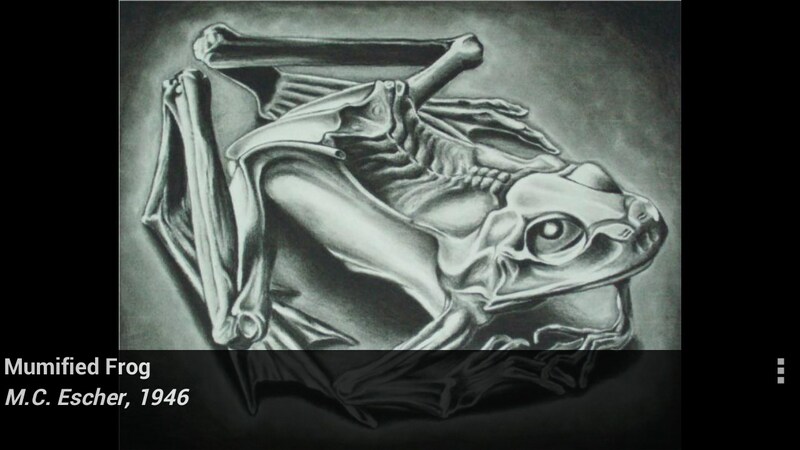 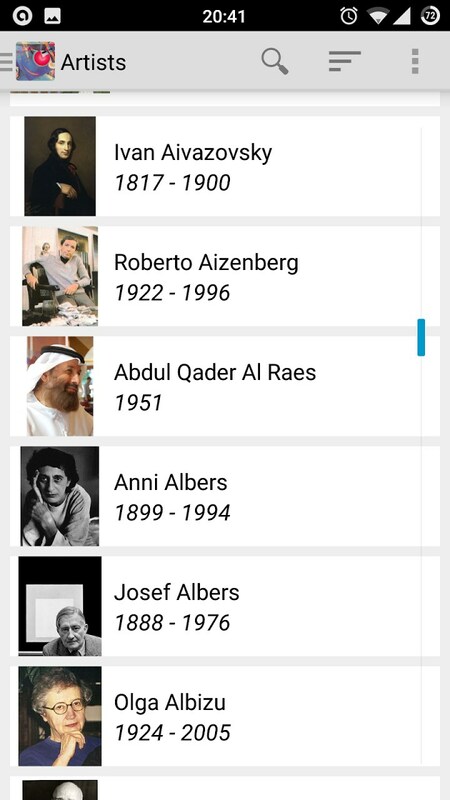 Art-droid for Android brings classic and modern art to your device, plain and simple. 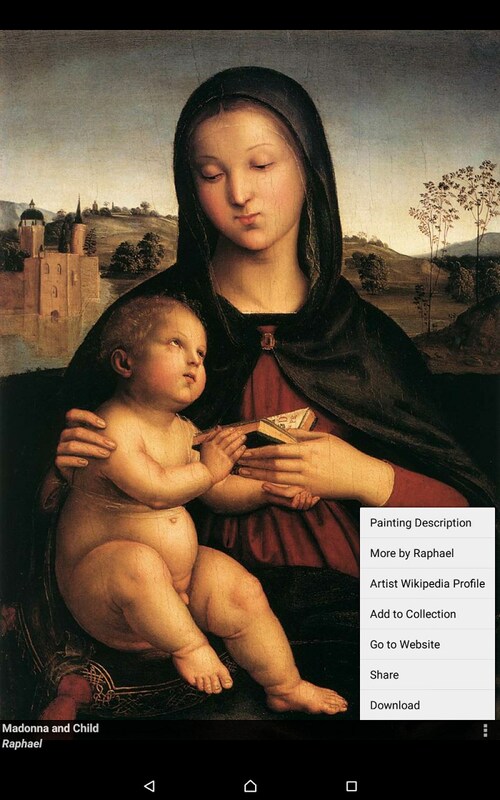 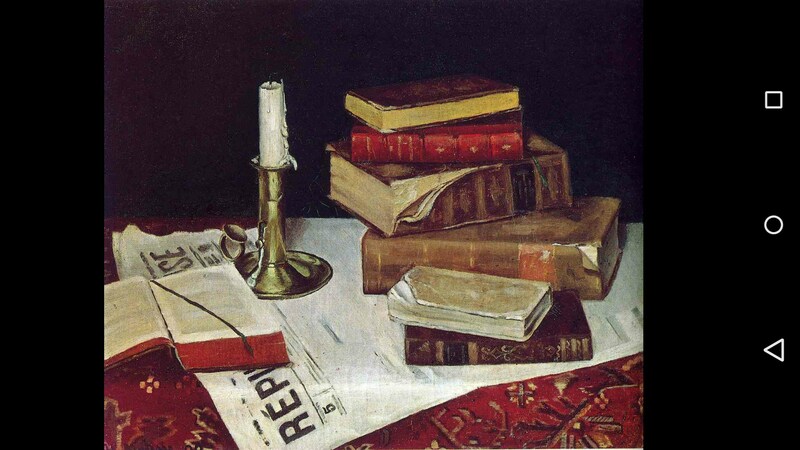 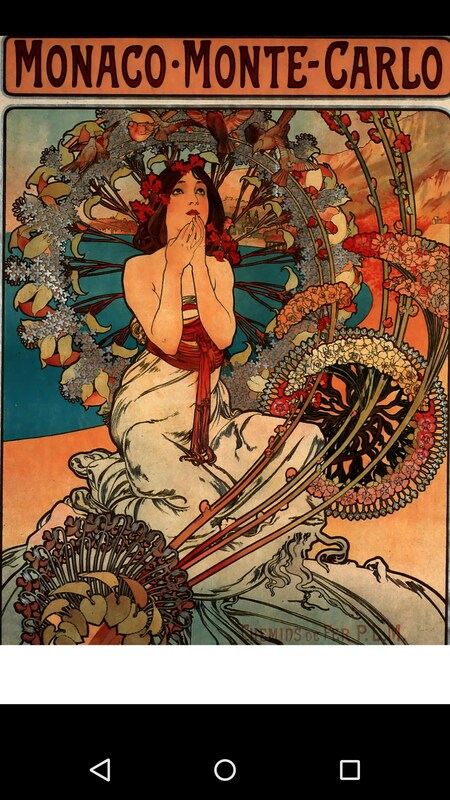 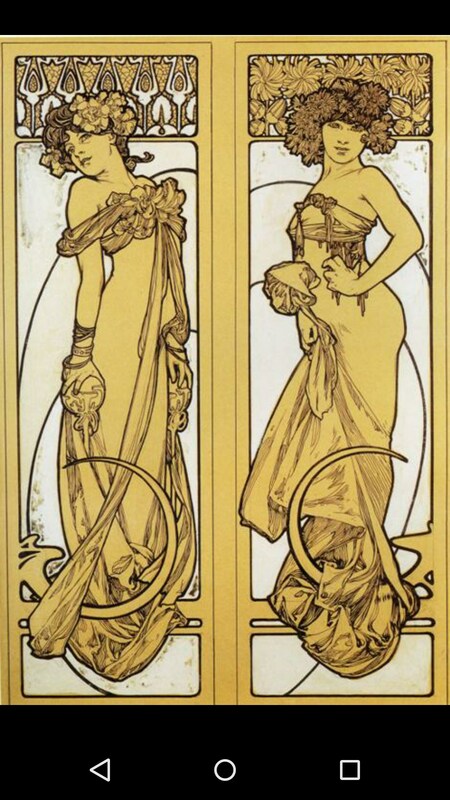 The content comes from wikiart.org, one of the largest online collections of art. 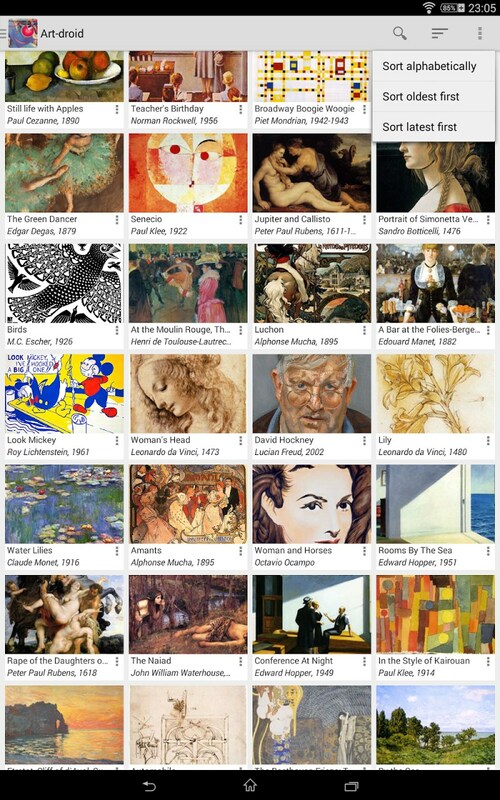 You can see some popular paintings upfront, and can also search and browse in various ways such as by nation, genre, field or painting school. 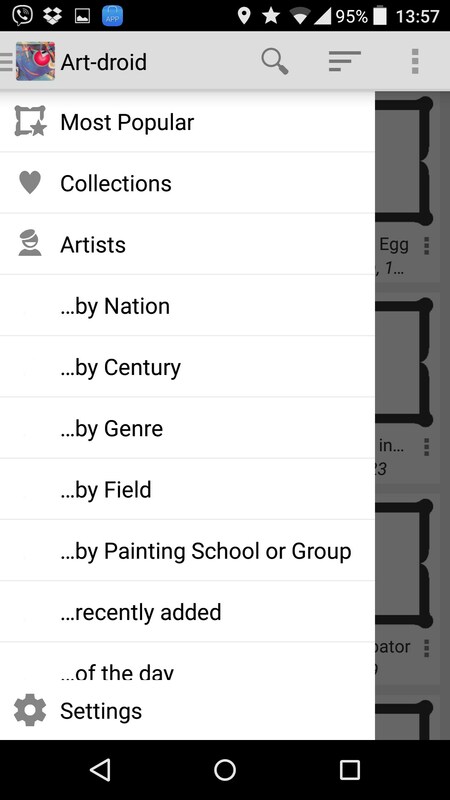 You can keep your own collection of favorites. 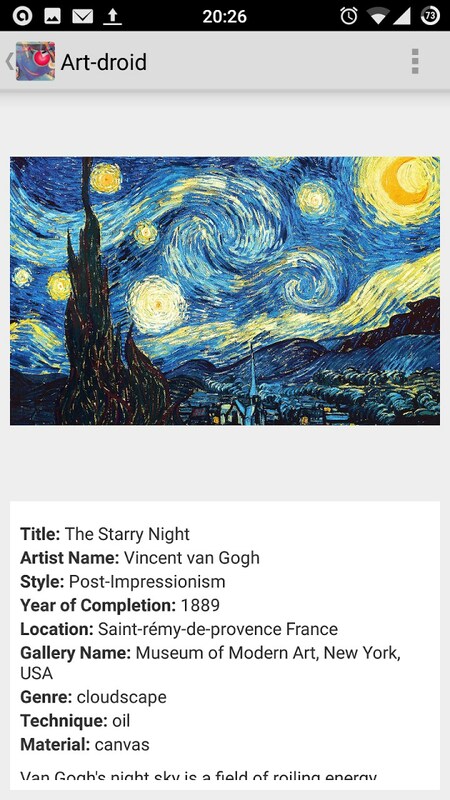 But the app lacks features to download the images, and the descriptions about the paintings are kinda hidden away in a little menu. 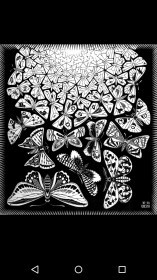 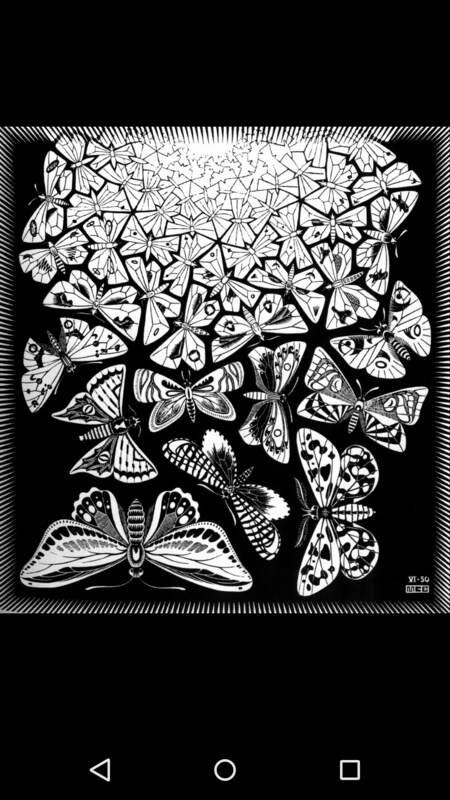 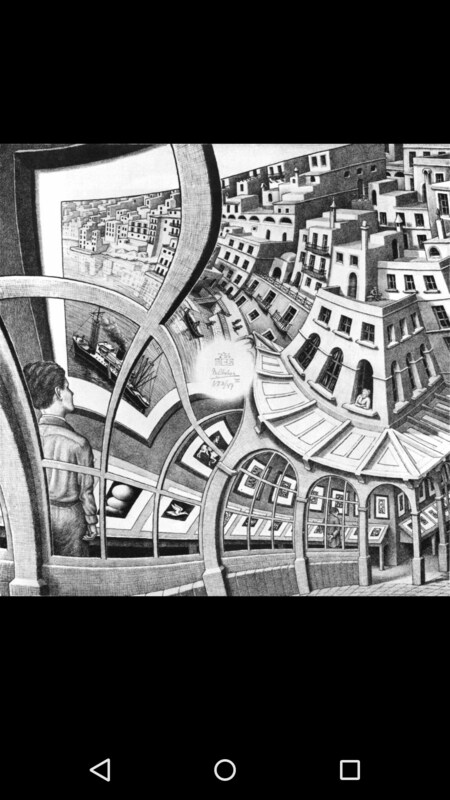 I enjoyed looking at paintings, and reminding myself about some different artists like M C Escher. 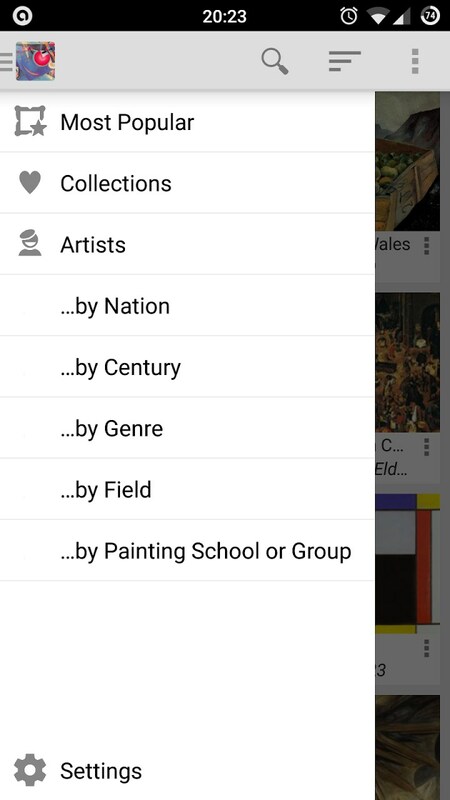 This could be great for getting your quick fix of culture. 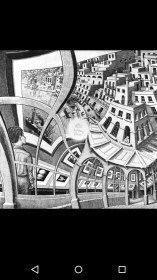 It's good that the art takes center stage, with decent zooming ability for getting in on the details. 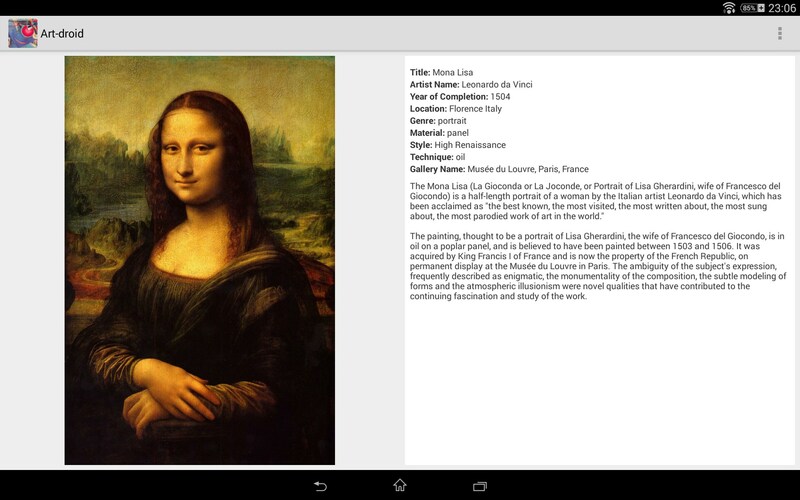 But it could go a bit further beyond content to provide more background and interactivity. 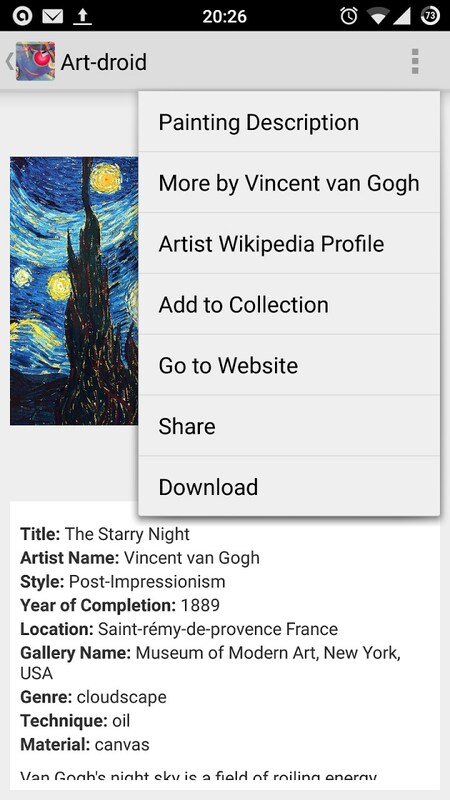 For example it could give you maps or timelines for discovering different paintings, or interesting links between artists, that would help you appreciate a little art history. 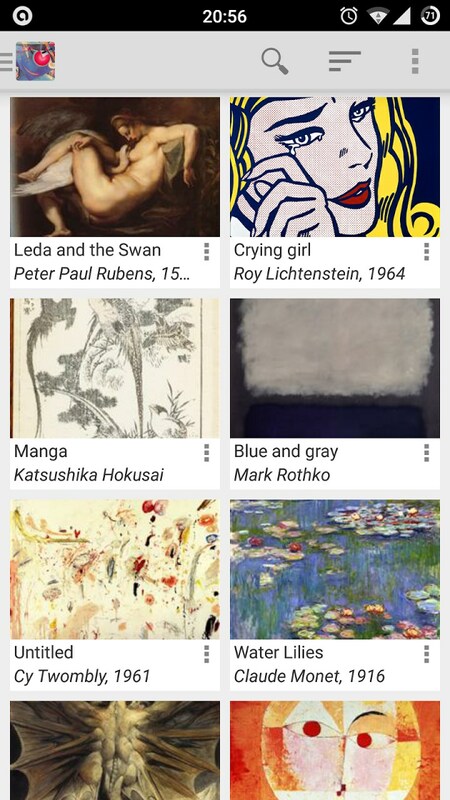 If you just want to look at some art - whether you know yet what kind of art or not - this app would be a neat, free and very straightforward choice. 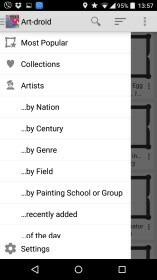 It even has artists like Banksy on there, if that's your thing.